James Young works in our Weatherization program, ensuring the homes we service are energy efficient. 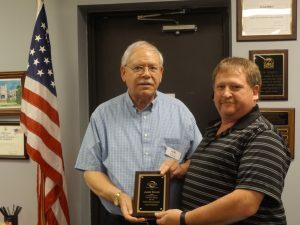 James, pictured on the right with Executive Director, Carl Rosenkranz, received a 10 year service award on May 22. Congratulations, James!